I’ve been dreaming of Mostar for many years now. Not only would I get to explore a new city, but also an entirely new country, Bosnia and Herzegovina (BiH). Recommended reading? 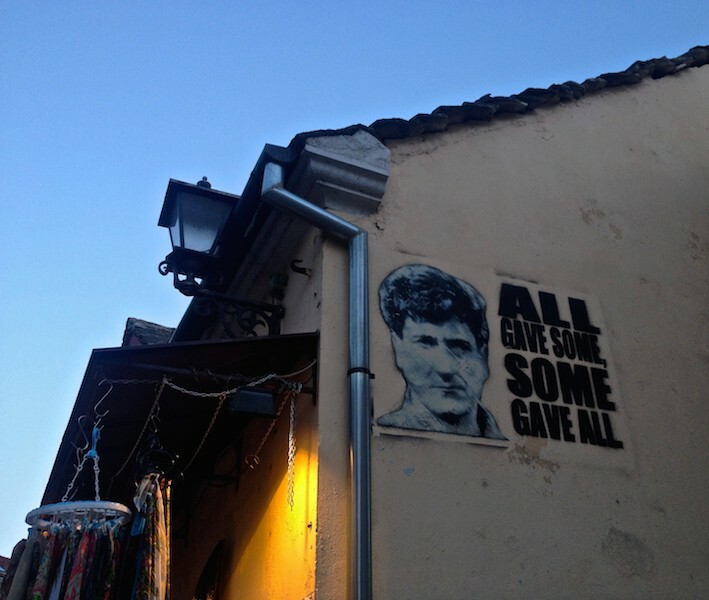 My other Mostar articles including, 8 Reasons to Visit Mostar, Bosnia and Herzegovina and Weird and Offbeat Sites – the Bruce Lee Statue in Mostar. 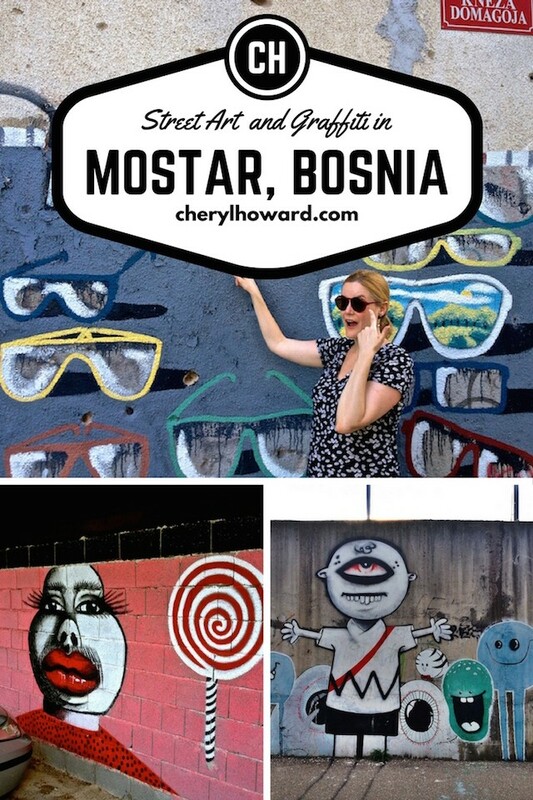 If you need somewhere to stay read my guide about where to stay in Mostar. Seeing the reconstructed Stari Most with my own eyes, had long been on my travel bucket list. While Stari Most means the “Old Bridge” in English, it’s actually very new. The original was destroyed during the Bosnian War and a replacement bridge, carefully modelled after the Old Bridge, only finished construction in 2004. This bridge is one of the country’s most notable landmarks so I was excited to walk over it and marvel at the stunning Ottoman styled architecture. I was even more thrilled at the thought of watching local “professionals” sporting Speedos take dangerous dives off the bridge into the Neretva River below. Shortly after checking in to Hostel Majdas (where I highly recommend staying), I rushed to see the bridge, even climbing the narrow steps of the minaret at the Koski Mehmed Pasha Mosque to take in what surely is the best view of Mostar. 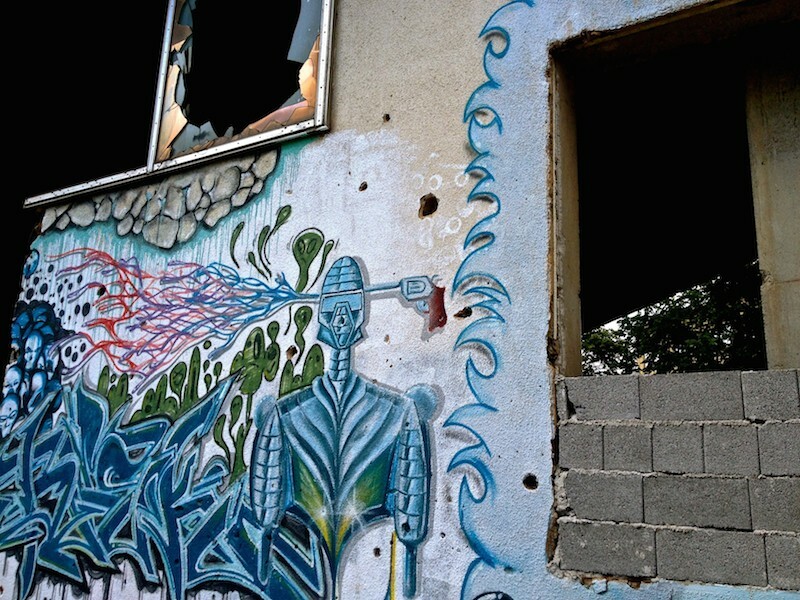 What I didn’t expect to see in Mostar was the blatant destruction left by the Bosnian War. Although the war ended in 1995 and a lot of money was spent restoring the more historical areas of the city, many buildings have still not been restored. 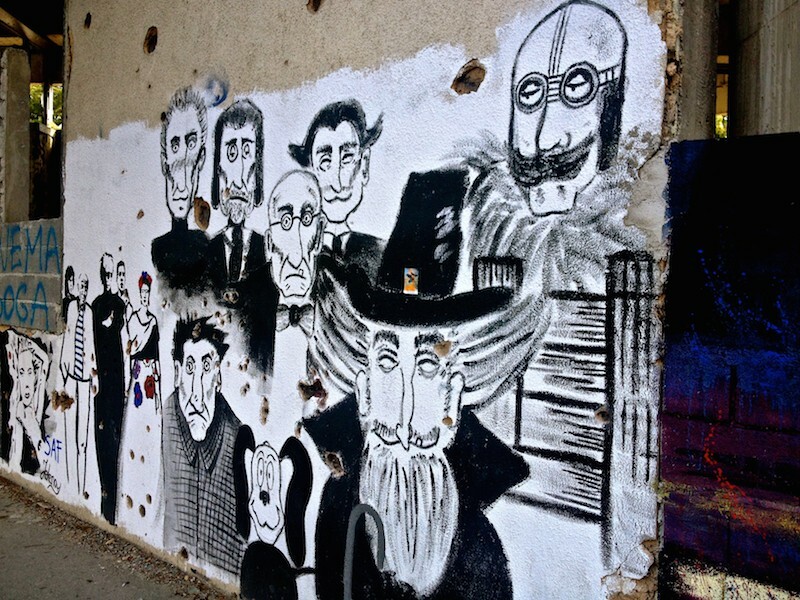 Their bombed-out remains and bullet hole-ridden walls serve as a grim and brutal reminder of the tragic events that took place almost 20 years ago. A local mentioned that some of the buildings have been left there on purpose, so they never forget what happened and, even more importantly, ensure that it never happens again. Unfortunately for numerous reasons (far too political and complex for me to write about here), these buildings may remain in decay and neglect for quite some time. 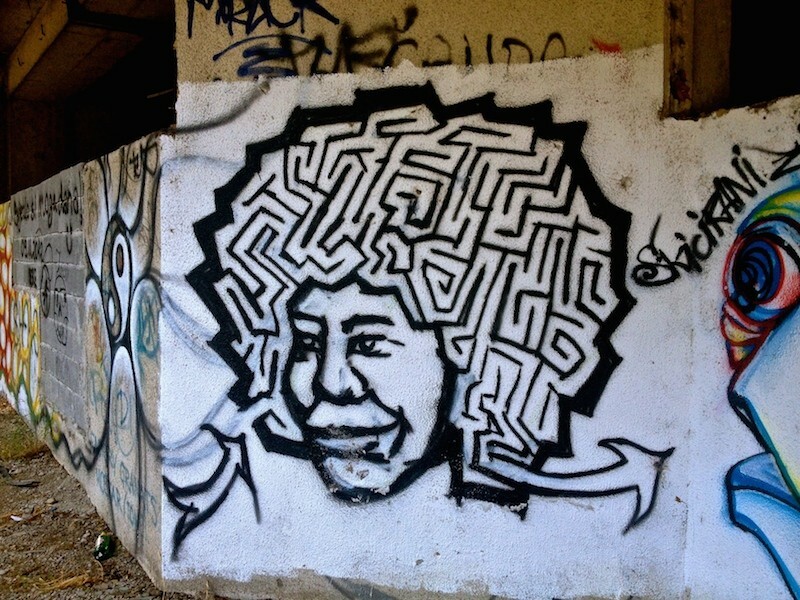 Although somewhat dismal, local artists have used them as a canvas for their street art in an effort to make the city a better place. 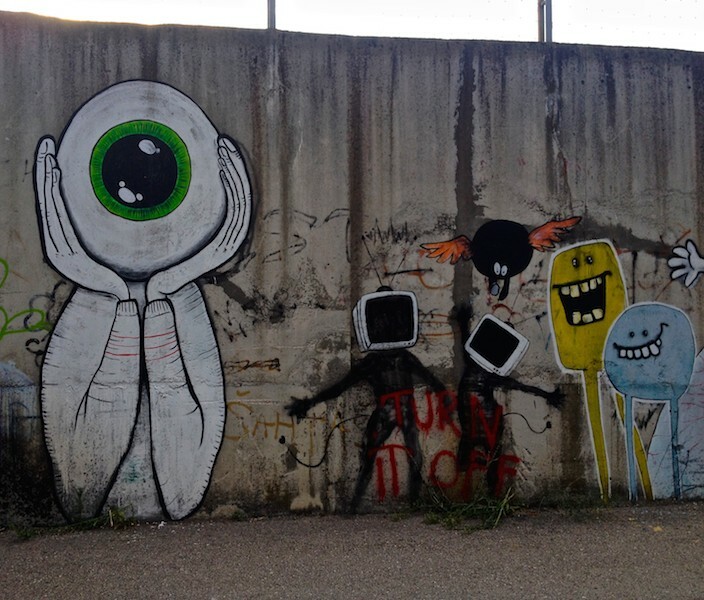 One of the best ways to discover the culture of a city is by taking in local street art and graffiti. It’s one of my favourite things to do whenever I travel. 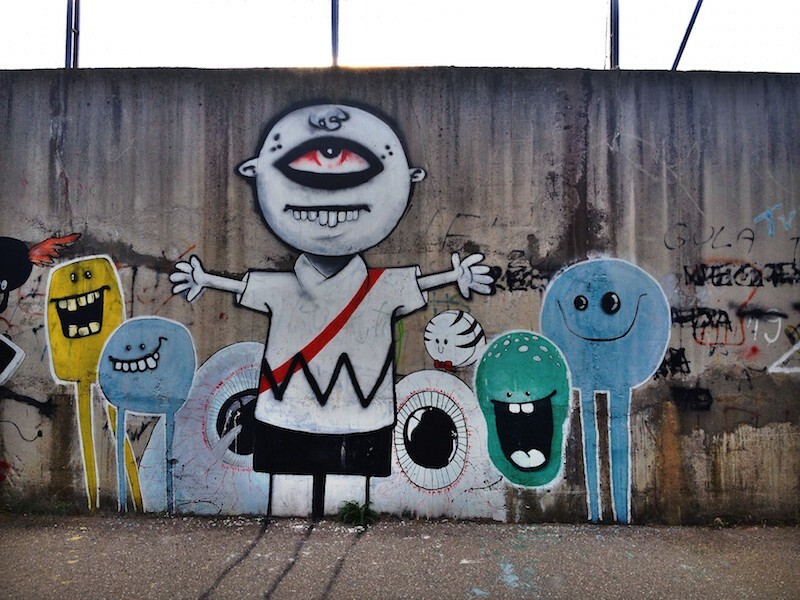 Polish street art in Szczecin and street art in Gdansk rank among some of my favourites. I even love taking photos at home of street art in Toronto! 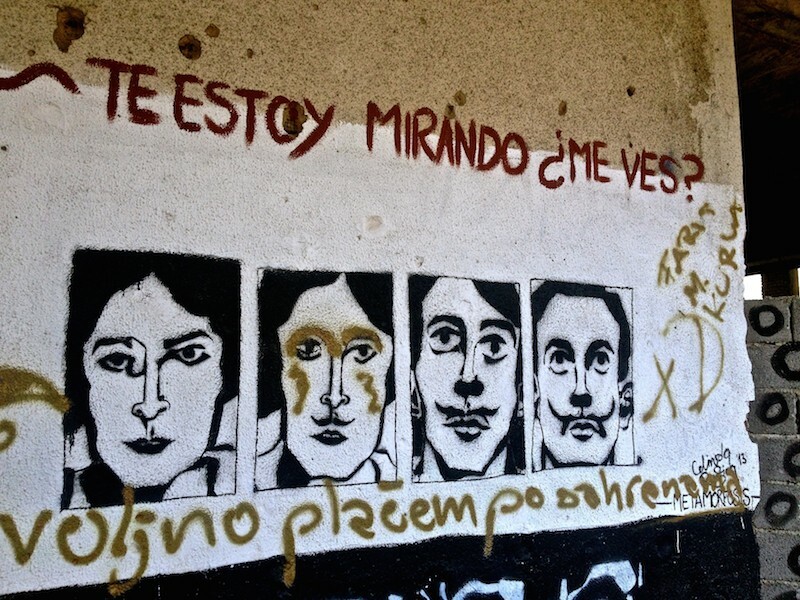 The street art and graffiti in Mostar is especially poignant and meaningful. There are messages of peace, criticisms of wealth and protests of past (and even current) oppression. 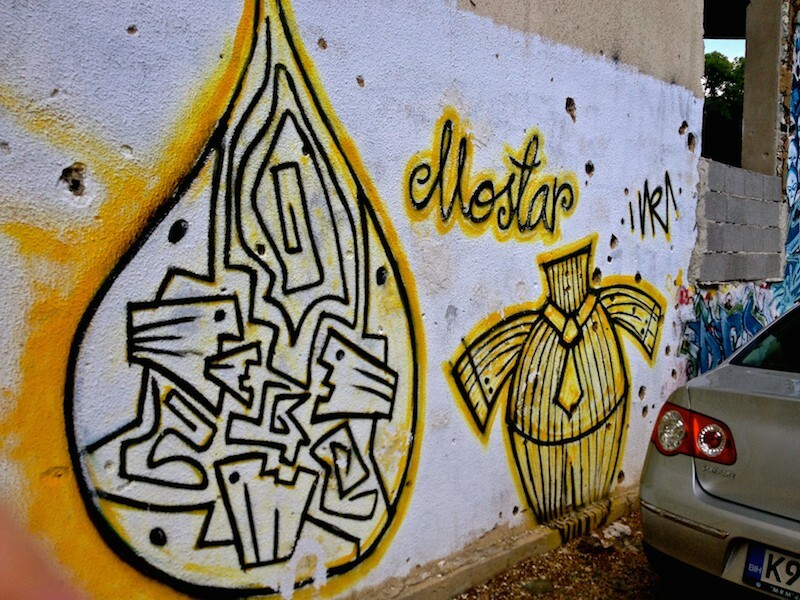 Mostar also holds an annual Street Arts Festival, bringing together young artists from all over the country and even the world to produce their fine works of art. Just outside of the hostel, I saw this small token of Bosnian love. 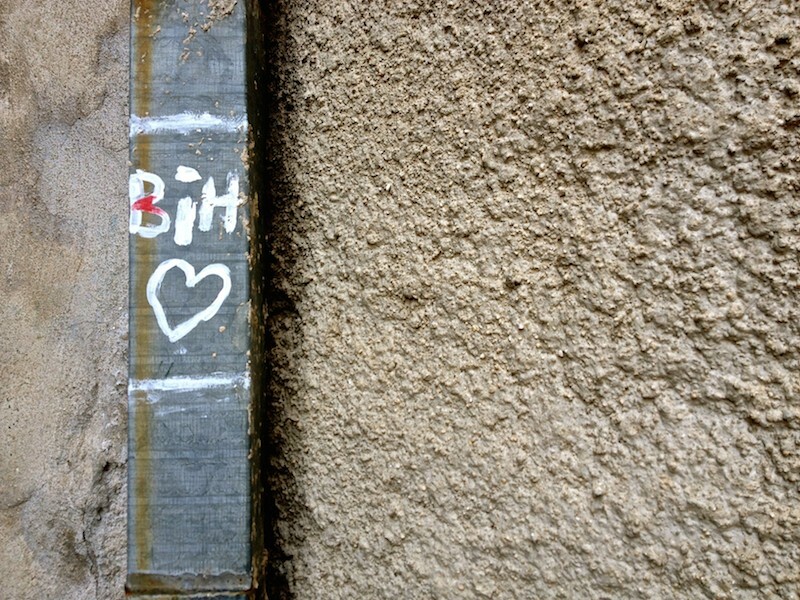 Obviously, this is not exactly the best example of street art and graffiti in Mostar but I love the sentiment all the same, as I love BiH too! Walking through Old Town, I came across these two interesting pieces “Why So Green?” and “All Gave Some and Some Gave All.” The latter piece is a tribute to Mithad Hujdur Hujka, a general who died during the war. This turned out to be only a small preview of the street art that was to come. 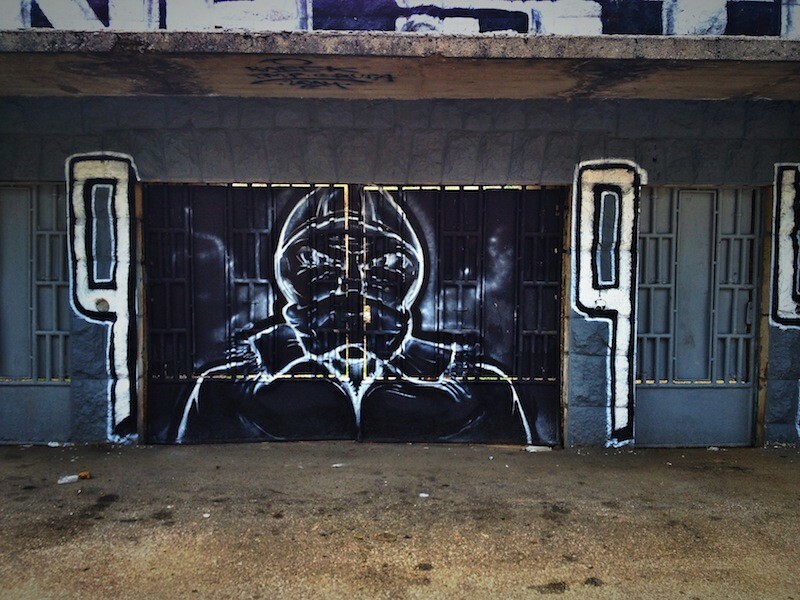 The greatest concentration (and the very best) street art in Mostar can be found in the Sniper Tower. Positioned along the front line during the Bosnian War, the building was formerly a bank. It ended up becoming a prominent base for skilled snipers who would hide in the confines of the tower, search out and take aim at their targets. 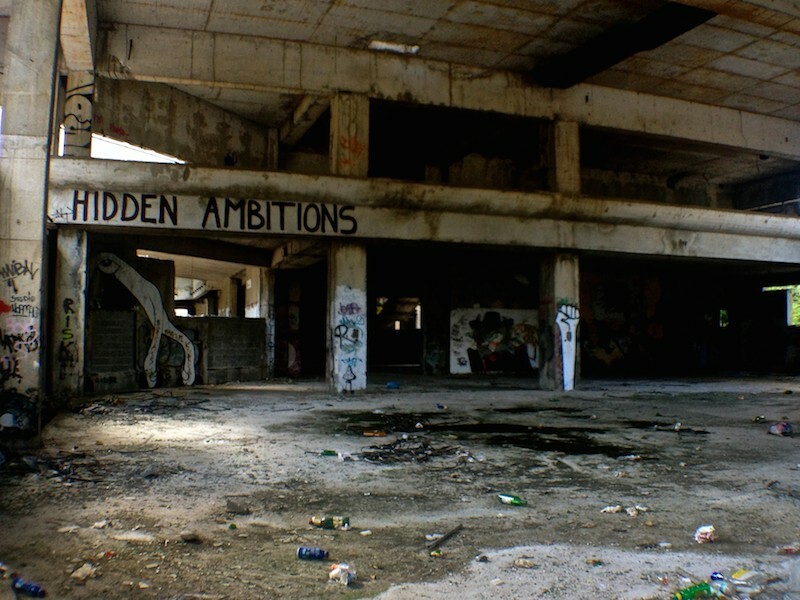 Although not exactly permitted, it’s fairly easy to enter the now abandoned building and explore its various floors. 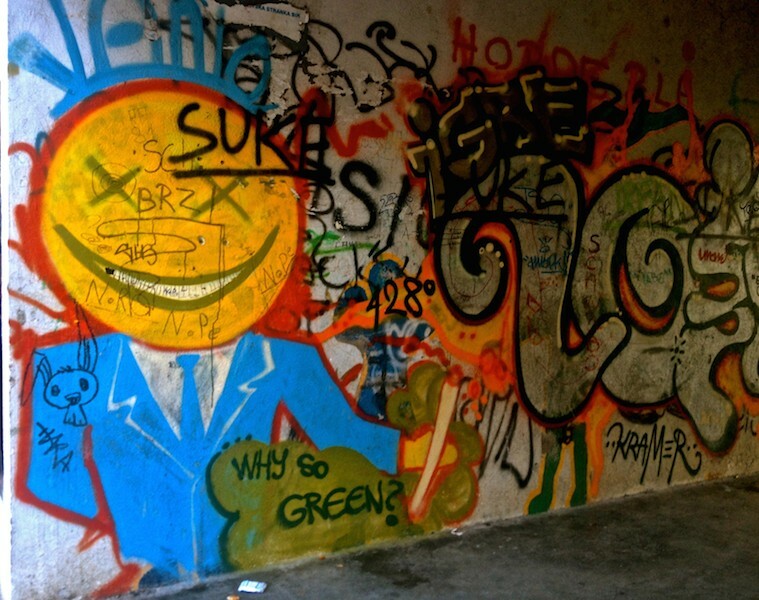 There’s even more street art inside and even squatters who may invite you for a drink or two! Locals told me that it’s also a great place to catch sunset and see a nice view of Mostar. While I’m usually up for exploring abandoned buildings like the Packard Automotive Plant in Detroit, I opted to walk around the perimeter instead and take photos. 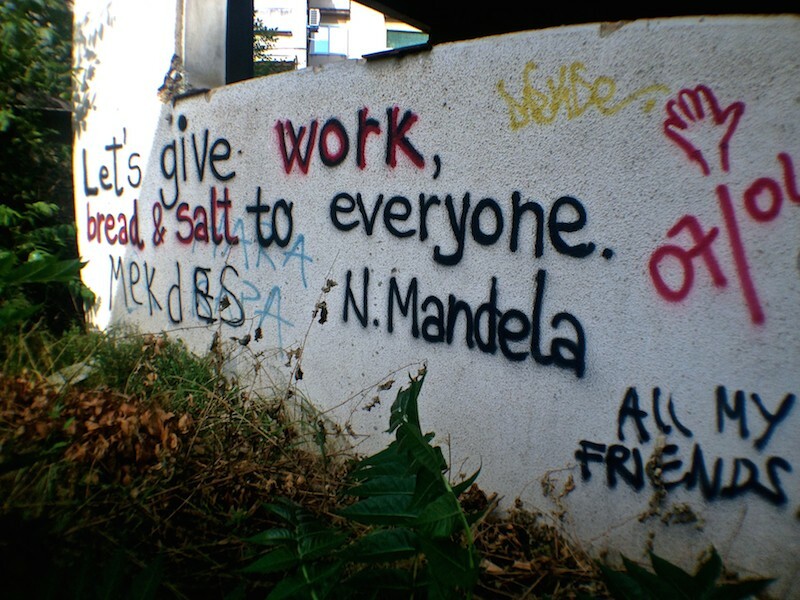 The “not so secret” entrance to the building is in the back by this lovely quote from Nelson Mandela. After the Sniper Tower, I moved on to the city’s soccer stadium as I’d noticed some nice pieces there while on a city tour the day before. While the stadium was not open, I wanted to walk past it as I’d been told an interesting story just the day before. There was something inside me that just wanted to be there to think more about the significance of this place. Unfortunately, the story of the soccer stadium Bijelim Brijegom is another sad one. Mostar has two soccer clubs – HŠK Zrinjski and FK Velež. FK Velež occupied the stadium for the longest time, as HŠK Zrinjski was banned from playing during WW II and the team was not re-established until 1992. After the Bosnian War ended, FK Velež was ousted from the stadium and forced to relocate to another nearby town. FK Velež is mainly supported by Bosniaks and Serbs while HŠK Zrinjski is supported primarily by the Croats. The stadium just happens to be located deep within the informal Croatian territory of BiH. This rather controversial move caused tension and distress for even though the war was over, a form of oppression still remained. Now many FK Velež fans can no longer watch their team at home or afford the journey outside of town to attend a match. FK Velež continues to advocate for a return to their home stadium but at this time, their requests are repeatedly denied for “political and security” reasons. Despite its tormented past and even somewhat tormented present, Mostar and BiH seeks to be known for more than just the Bosnian War. 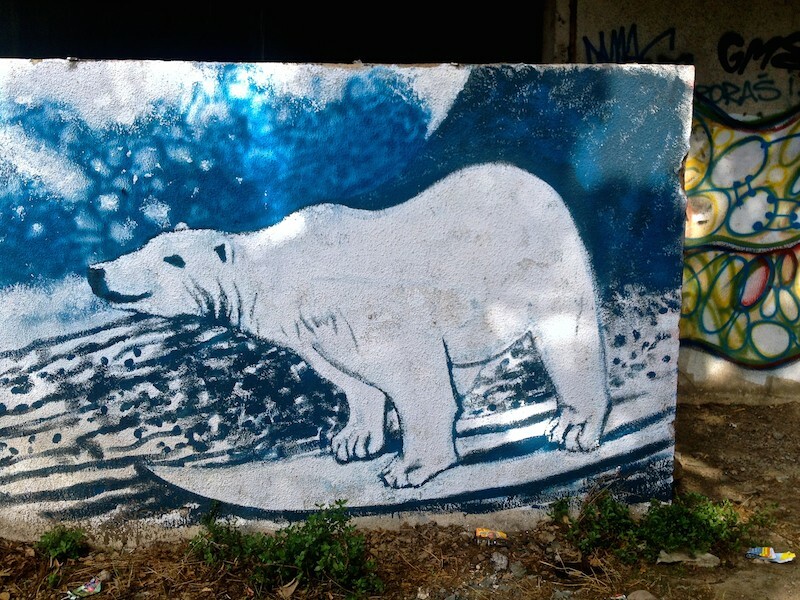 This street art movement is doing it’s part to show this to the world. 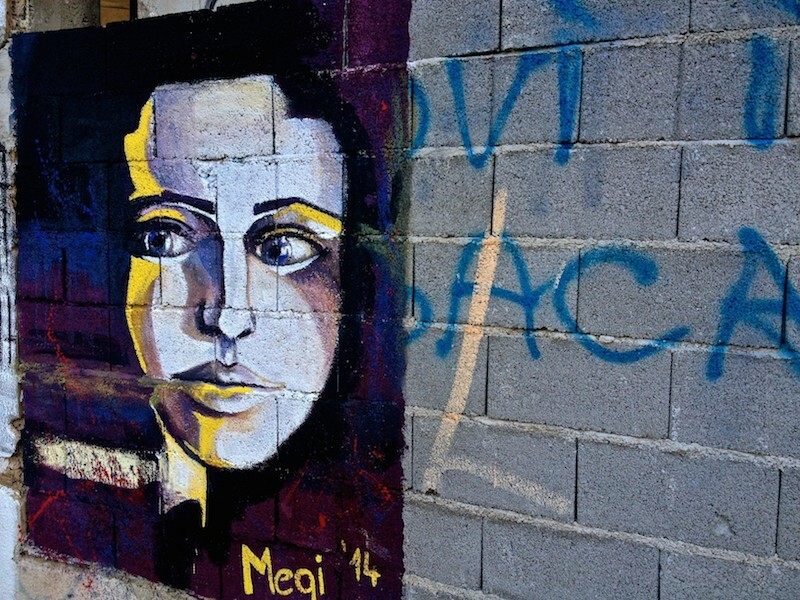 While in in Balkans, make an effort to view the street art and graffiti in Mostar, Bosnia. You’ll be treated to fun works of art and come to know the city in a deeper and more worthwhile way. 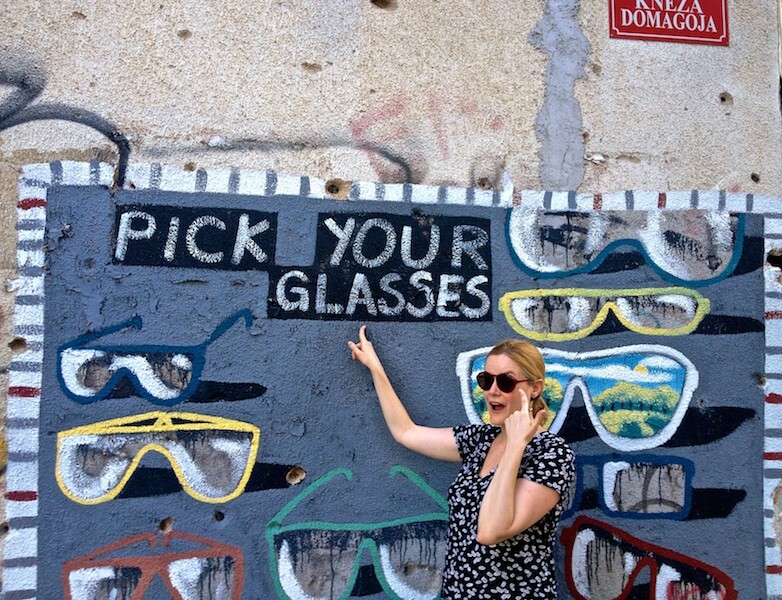 If you’re heading to Sarajevo, consider these things to do in Sarajevo. Yes, seeing the bridge was so very special for both reasons! Mostar was an emotional experience but I loved every moment there. And some of this street art is just so incredible. Mostar was the second place we visited when our travels began in 2012 and it still holds a really important place in mind, not just because of the town it was, but because of the town it’s becoming. 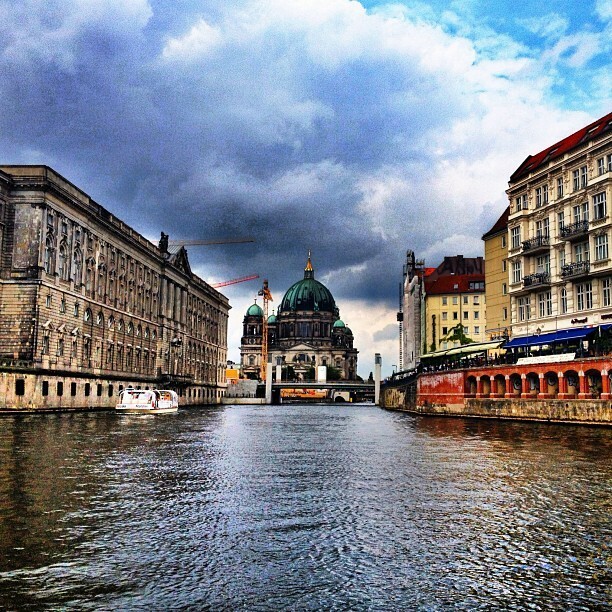 Hope you continue to enjoy the rest of your travels in Europe! 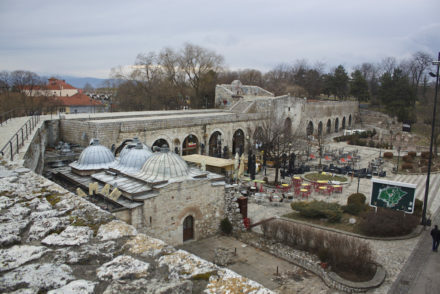 Hi Marina – I definitely need to visit Mostar during the festival one year. Looks like so much fun! Hah, there a bit of my art here. You missed some though! There are many great pieces in Abrasevic. 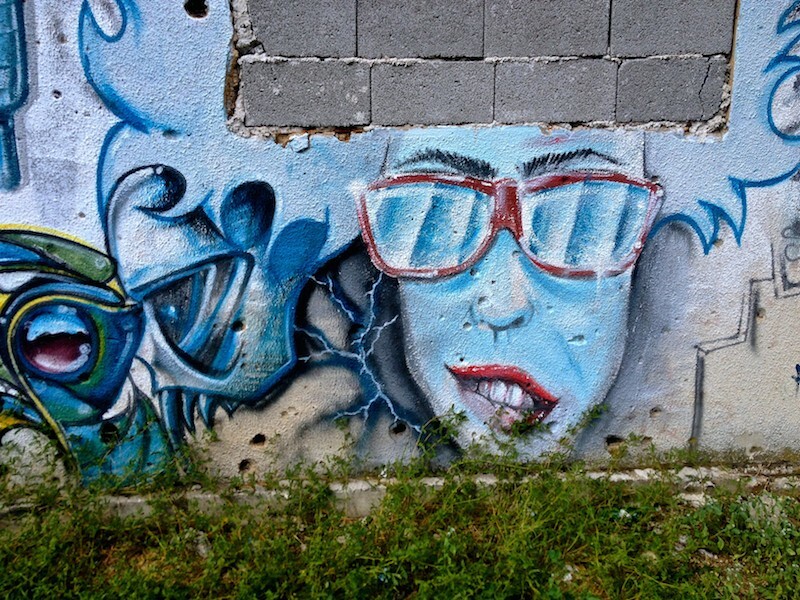 I’ll have to see more street art the next time I am in Mostar. 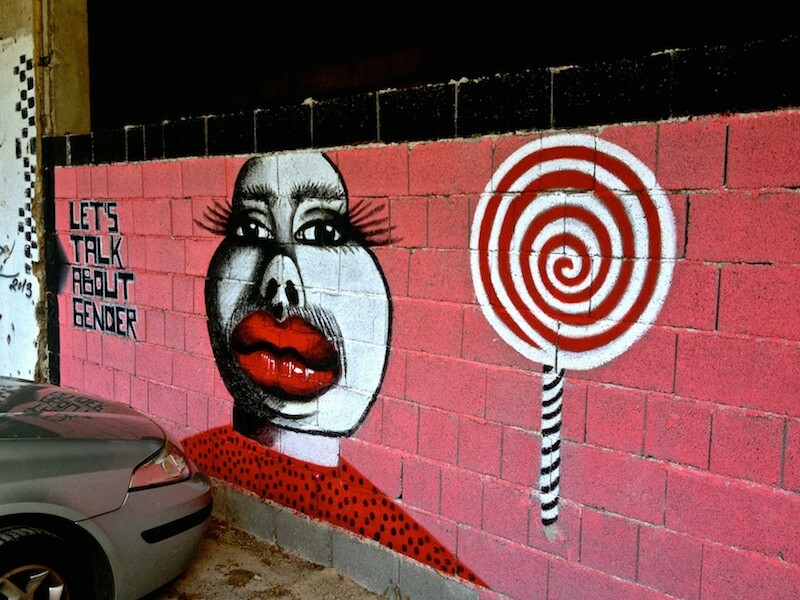 Very unique street art! You can see different characters and styles depending on which city you’re in, and Mostar is quite interesting! Thanks for sharing! Yes, some of the pieces are really quite beautiful and thought provoking. It’s so much more powerful than it usually is (in a city like Toronto for example), given the complicated history of BiH. The man next to the text “all gave some, some gave all” was a general during the war in Mostar. He gave his life for that city, so therefore “he gave ALL” he had. His name was Mithad Hujdur Hujka. Thank you kindly for sharing this information! I’ll update the article. I like your blog, it’s really informative. You can give me your email, if you don’t mind, I have some ideas I would like to share with you. If you know who did any of the art, let me know and I’ll update the article again. Yes! Some of the best street art I’ve seen in a while. Thanks so much Lara! 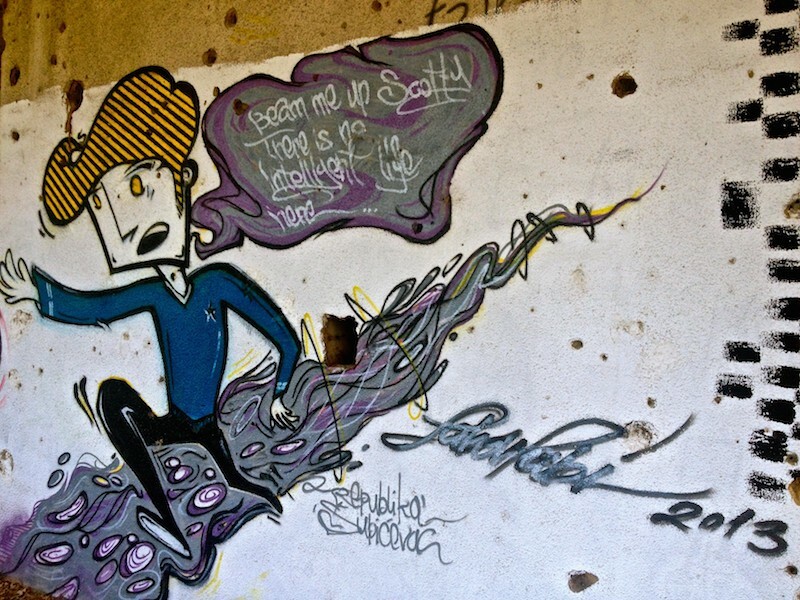 It’s a definite highlight to see the street art and explore the building. What a Day in Vancouver Might Look Like … If You Were Me.